throwing Google Plus under the bus is just sad. …and a total waste of possibilities. 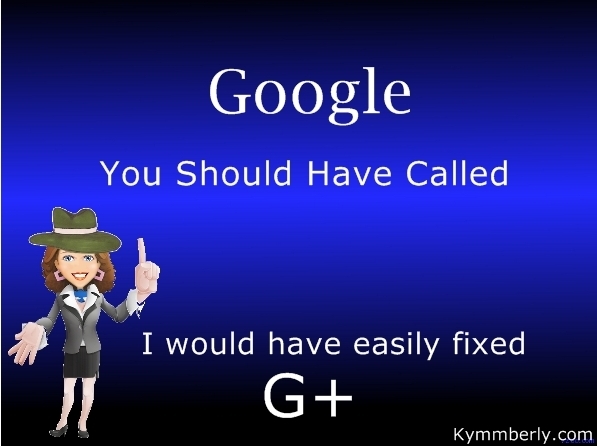 Google+ had a lot of good features & such wonderful potential. simply asked people like ME. Yep, you heard me. Me. would create the social media platform of our dreams. but to their reputation as social failures. important things, LIKE what their major problem is. It’s very simple, “Google can’t see the social forest for the techie trees”. Google, you should have called because now we ALL lose.